The Treasury's 2009 decision to split Northern Rock in two was reasonable at the time but the final net cost to the taxpayer could be some £2 billion. "Amidst the serious economic turmoil of 2009, it was reasonable to create Northern Rock plc to support mortgage lending. No alternative was likely to have been significantly better. But the Treasury committed itself before looking in detail at the possible consequences for the taxpayer. "A sale of Northern Rock plc at the earliest opportunity was the best option to minimise losses on the £1.4 billion of public money invested in the bank. But most of the former Northern Rock’s assets will be in public ownership for many years to come and there could be a net cost for the taxpayer of some £2 billion by the time these assets are finally wound down." The National Audit Office has today reported on the creation of Northern Rock plc, its financial performance while in public ownership, whether the sale of Northern Rock plc was the best available option and whether its sale was well handled. The spending watchdog found that the Treasury’s decision in early 2009 to support mortgage lending by splitting Northern Rock in two was reasonable but based on a business plan prepared by Northern Rock management which events quickly showed to have been optimistic. The Treasury went ahead with the split without further detailed analysis of the consequences for the taxpayer. The alternative of selling the deposits and closing down the business was, however, unlikely to have been significantly better in financial terms and would not have delivered mortgage lending. Although targets were not met, lending by Northern Rock plc was over 20% of all mortgage lending during 2010 and 2011. The financial performance of the business was worse than planned, principally owing to low interest rates continuing for longer than had been expected. In 2011, UK Financial Investments (UKFI), a body owned by the Treasury, reviewed a full range of options for the future of Northern Rock plc, including turning it into a building society or selling shares on the stock exchange. The NAO considers that UKFI’s recommendation for an early sale was the best way to minimise the losses. According to today’s report, UKFI ran the sales process well. Bidders were positive about the process, describing it as transparent and fair. Competitive tension was maintained and, in the final negotiations, UKFI improved the overall offer from Virgin Money. 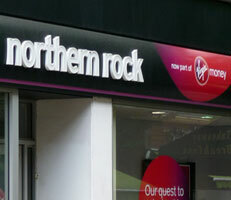 The NAO expects the taxpayer to lose £480 million of its original £1.4 billion investment in Northern Rock plc. If account is taken of the likely value of Northern Rock assets remaining in public ownership, UKFI expects that the taxpayer will recover all of the cash provided, including the loss on the sale of Northern Rock plc and the cost of financing the gilts issued to raise the cash. However, the current estimate is that there could be a net present cost for the taxpayer of some £2 billion by the time the assets are fully wound down. This net present cost should, however, be seen as part of the overall cost of securing the benefits of financial stability during the financial crisis.